The ongoing underground mine project is being developed with a vision of producing 5.0 million MT per annum ore production. The ongoing underground mine project includes a main production shaft of 955m depth, 7.5m diameter and hauling capacity of 3.75 million MT per annum; two ventilation shafts, two declines from surface and paste fill plants. Rampura Agucha was commissioned in 1991 as an opencast mine. It is located 230 km north of Udaipur, in the State of Rajasthan in India. Rampura Agucha is stratiform, sediment-hosted, high grade zinc & lead deposit. The ore body is massive and lens shaped with consistent ore grade. 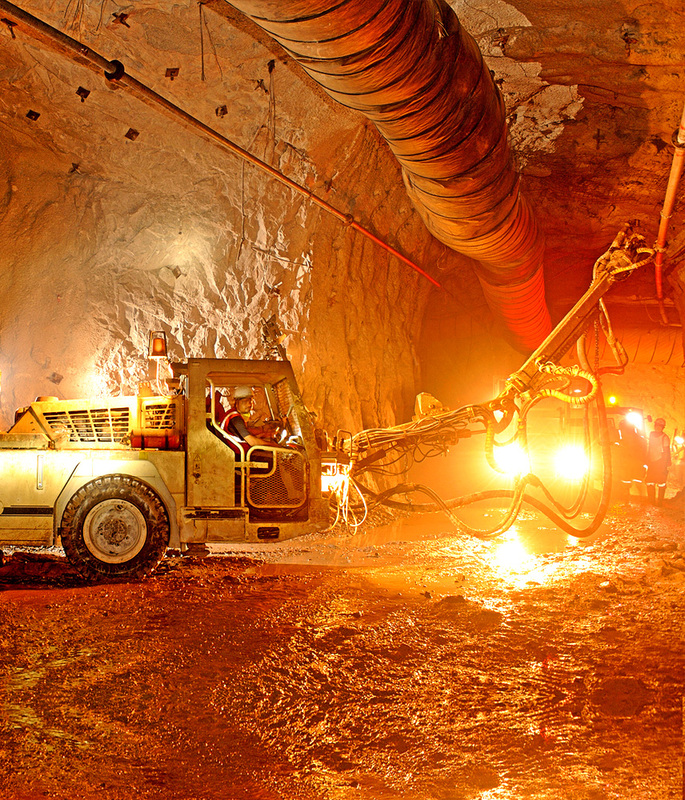 The mine is highly mechanized with state of the art technology. Underground Mining is carried out using Long Hole Open Stoping with Paste Fill method with mined out stopes backfilled with cemented rock & with cemented tailing in paste form. Processing facilities use rod mill – ball mill combination in stream I; Semi-Autogenous Grinding (SAG) mill – ball mill combination in stream II, III & IV; and flotation methods to produce zinc and lead concentrates. The concentrator is equipped with the state-of-art-automation, which includes the Experion process control system; Multi stream analyzer to ensure faster & accurate readings of different metal percentages in the various streams and Froth image analyzer that provides actual image of froth bubbles to facilitate effective quality control. Zinc and lead concentrates produced at Rampura Agucha are transferred to our smelters. The tailing generated due to beneficiation of ore are stored in specially constructed tailing dam, which is considered as the most compatible on-site storage facility for long term disposal of tailings. The base of the tailing dam is fully sealed by the application of a layer of impervious soil at bottom. After settling, the tailings water gets recycled to plant thus maintain zero discharge.